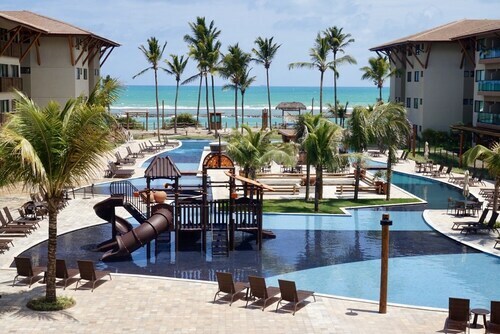 It has never been easier to save cash with Porto de Galinhas vacation packages on Expedia. You'll have plenty more time to organize your exciting experiences — and more cash to splash! Savvy jetsetters can gain savings of up to C$590* by securing a package deal on Expedia. With just a few clicks, you can sort out everything you'll need for your next adventure with our comprehensive database. And — with more than 400 partner airlines and 321,000 properties from all around the world, you'll have the flexibility to pick and choose! Itinerary looking a little thin? 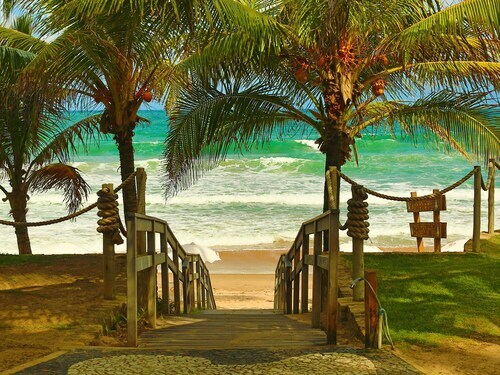 Porto de Galinhas vacation all booked but no idea what you're going to do when you arrive? Let us give you a helping hand. Whether you're looking for a boat trip or just a glorious view, you won't be disappointed by Maracaipe Point. This sea inlet is sure to relax and refresh your spirit. Adventurers have a great range of options in and around this destination. Kite flying by the sea is something all the family can do together. If it's a windy day, why not try to launch one at Maracaipe Natural Pool? Still got some time to spare? Foster a deeper understanding of our complex ecosystem at Hippocampus Project. Nothing can compare to the splendor of our natural environment. A getaway is a fantastic time to relax and unwind. It's also the perfect time to dive into new experiences! Get your trip to Porto de Galinhas off to a cracking start with a Porto de Galinhas Tour or a Cabo de Santo Agostinho with Buggy & Catamaran Ride. For a more comprehensive list of activities, take a look at our Porto de Galinhas things to do page. Securing cozy places to stay is half the battle won when it comes to planning luxury getaways or cheap vacations. Fortunately, Porto de Galinhas offers 84 accommodations, so you'll be spoilt for choice. The Viva Porto de Galinhas (Avenida Beira Mar, S/n Lote B, Gleba 2) and the Summerville Beach Resort (Gleba 6 -A, Propriedade Merepe - C, s/n) are two of the higher-ranking options in Porto de Galinhas. Stay at either and you're sure to have the nicest guest amenities in town. If you'd prefer to spend your cash on things like thrilling adventures and wild nightlife, why not investigate some of our budget options? 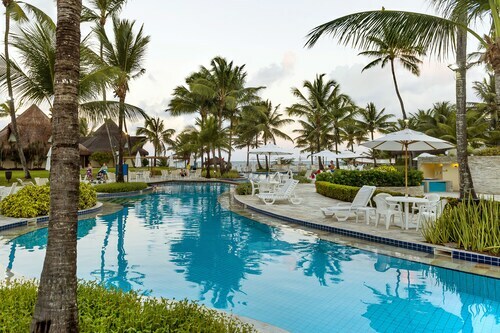 The Enotel Convention & Spa Porto de Galinhas - All Inclusive (Rodovia PE-09, s/n) and the Solar Porto de Galinhas (Rod PE-09, Km 07) are a couple of recommended ones. If you're flying in, you'll probably be heading for Guararapes International Airport (REC). Once you've picked up your luggage from baggage claim and wandered out of terminal, the main streets of Porto de Galinhas will be 25 miles (40 km) away. Nestled on the beach, this Porto de Galinhas pousada is within 3 mi (5 km) of Cupe Beach, Muro Alto Beach, and Porto de Galinhas Natural Pools. Maracaipe Beach is 3 mi (4.9 km) away. Nestled on the beach, this Porto de Galinhas resort is 0.2 mi (0.3 km) from Muro Alto Beach and 1.4 mi (2.3 km) from Cupe Beach. Merepe Beach and Hippocampus Project are also within 6 mi (10 km). Nestled on the beach, this Porto de Galinhas resort is 0.3 mi (0.5 km) from Muro Alto Beach and 1.6 mi (2.6 km) from Cupe Beach. Merepe Beach and Hippocampus Project are also within 6 mi (10 km). 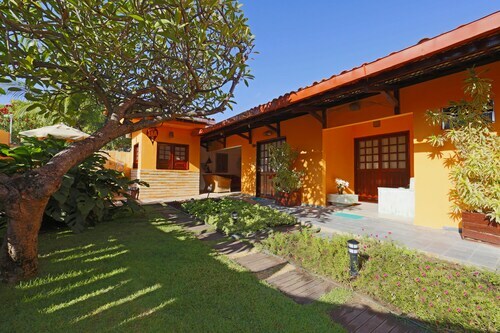 Nestled on the beach, this Porto de Galinhas pousada is within 2 mi (3 km) of Merepe Beach, Porto de Galinhas Natural Pools, and Maracaipe Beach. Cupe Beach and Hippocampus Project are also within 2 mi (3 km). 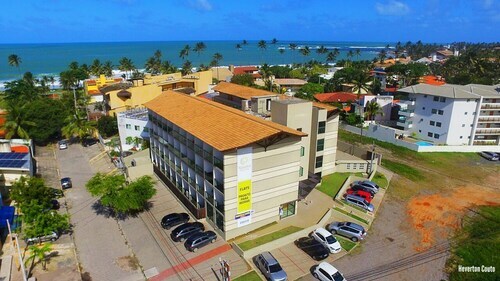 Located in Porto de Galinhas, this apartment building is within a 15-minute walk of Merepe Beach and Porto de Galinhas Natural Pools. Maracaipe Beach is 0.9 mi (1.5 km) away. Nestled on the beach, this Porto de Galinhas hotel is within 3 mi (5 km) of Cupe Beach, Porto de Galinhas Natural Pools, and Maracaipe Beach. Merepe Beach and Hippocampus Project are also within 2 mi (3 km). Located in Porto de Galinhas, this pousada is within a 10-minute walk of Maracaipe Beach and Porto de Galinhas Natural Pools. Merepe Beach and Hippocampus Project are also within 10 minutes. 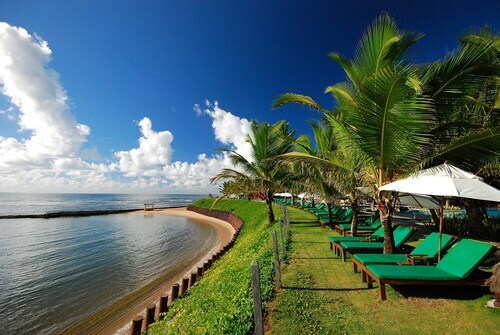 Located in Porto de Galinhas, this resort is 0.2 mi (0.3 km) from Muro Alto Beach and 2.6 mi (4.2 km) from Cupe Beach. Maracaipe Beach and Porto de Galinhas Natural Pools are also within 9 mi (15 km).